Palouse Land Trust and PCEI are teaming up to share the wonder of our local aquatic and wetland world. Families and kids of all ages (adults, too!) 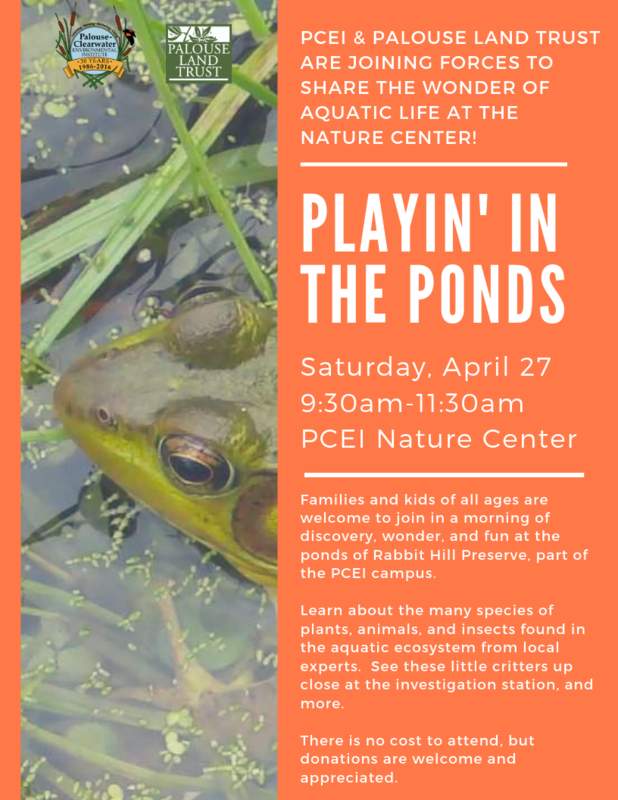 are welcome to join in a morning of exploration, discovery, and fun at the ponds of Rabbit Hills Preserve, now part of the PCEI Campus. Learn about the many species of plants, animals and insects found in our local aquatic ecosystem from local experts. Get up close and personal at the observation station, with magnifying glasses and microscopes, and learn about the importance of this and other wetland habitats. This event is free and open to everyone, but donations are accepted and greatly appreciated.